Round porcelain pot with a cream glaze. 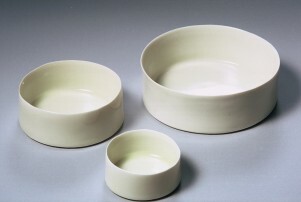 Pot, Chun Liao, 2001, Crafts Council Collection: P478.1, P478.2 and P478.3. Photo: James Austin.